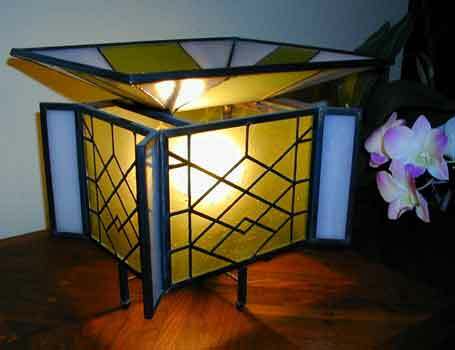 This easy to build lantern has only 22 pieces of glass and no base. The patterns include 8 sheets, each 11" by 17", of professionally prepared patterns and drawings scaled and drawn to exact dimensions by computer as well as a complete bill of material. 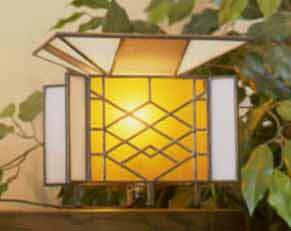 The lantern measures 10 3/8" by 8 3/4" and is 8 7/8" tall.